It’s not a secret that if a nonprofit wants to be successful in today’s fast-changing and complex world, it has to be present and active on social media networks. And the most prominent social media platform, without a doubt, is Facebook. 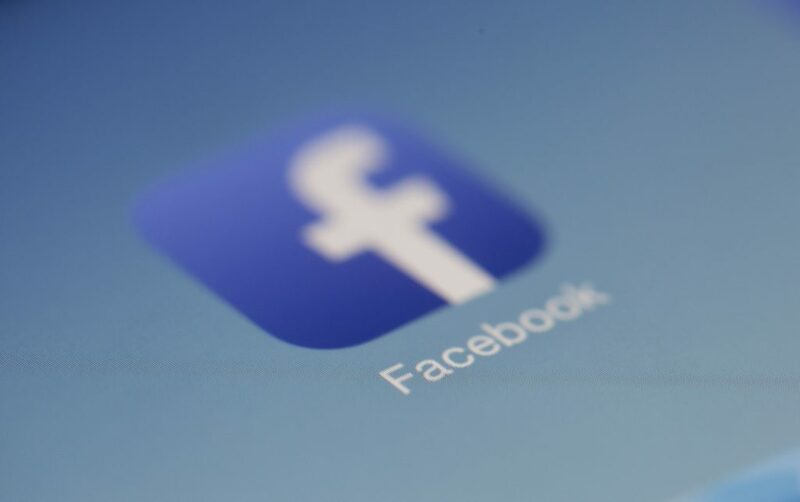 Facebook boasts over 2.23 billion monthly active Facebook users for Q2 2018 – which is an 11 percent increase year over year. 1.47 billion people on average log onto Facebook daily and are considered daily active users. Although other platforms are expanding in reach and influence every day, Facebook still reigns over other social media networks. In essence, it’s too big to ignore. Although Facebook has been around for a while, that doesn’t make it any easier to ‘figure it out’. Facebook’s algorithm is constantly changing and evolving. For example, in 2018 Mark Zuckerberg announced that “public content’ i.e. posts from Pages (like your nonprofit’s one) will be shown to users less in order to make space for posts from friends. It was also announced that Facebook will be prioritizing local content (which is good news for locally based nonprofits). 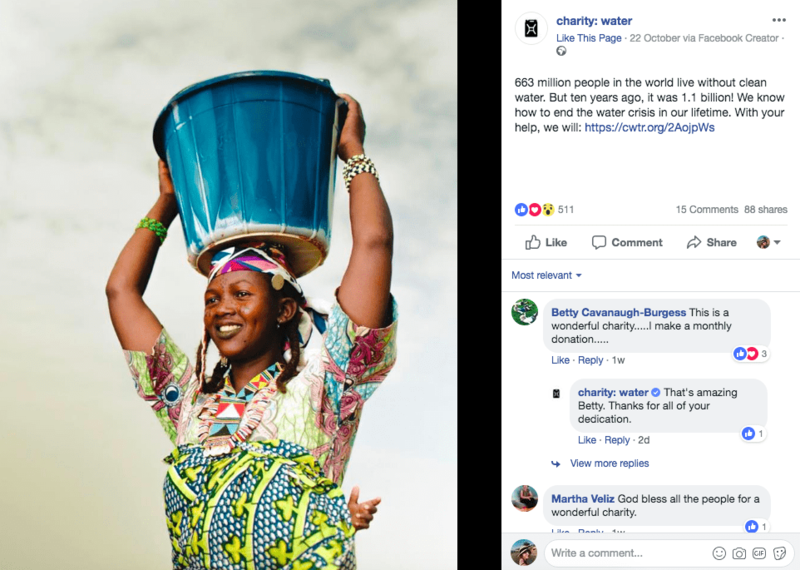 These changes, coupled with an increasingly fierce competition and a crowded space in which everyone is vying for attention, can make it difficult for a nonprofit to stand out on Facebook. It can feel like shouting into the void – especially with organic reach and engagement constantly dwindling. To help you maximize the reach and engagement of your Facebook posts, we’ve compiled a list of ways in which you can get the most out of Facebook. What is your nonprofit hoping to achieve? And your mission? What are your goals? Answering these questions will help you kick off your Facebook strategy creation process. Once you’ve answered those questions – think about how will your Facebook account fit with the rest of your organizational and marketing strategy, and how will it fit with your other social media accounts like Instagram or YouTube. What are you trying to achieve by using Facebook (e.g. fundraising, brand building, community education etc.)? Decide who will run your nonprofit Facebook account, whether that be one person or several. Who will do most of the interacting? Who are you trying to reach? What’s your audience like? What are their passions and interests? And their motivations? What are you trying to say and share? What’s your core message(s)? Finally, set specific and measurable goals for your Facebook account (e.g. number of likes, shares, or a specific click-through rate). How will you keep track of your progress and your Key Performance Indicators? Your Facebook profile represents your organization. It’s vital that your profile is complete with a profile picture, a cover photo, a description, contact information, and more. 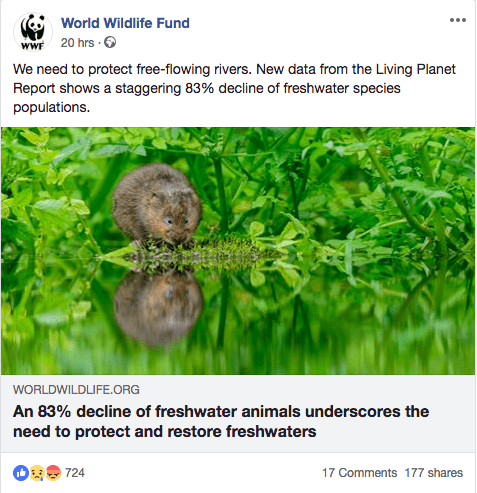 Make sure you are using a Facebook page for your nonprofit. It is against Facebook guidelines for any organization to use a personal profile. Select a username for your site that is as close as possible to your nonprofit’s website URL. Use your organization’s logo as your profile picture. Make sure it can fit neatly into the small square and still be recognizable. Complete the “About” section. Google grabs content from your About section, so make sure you have completed all fields. Most important are your web address, physical address, contact information, and keyword-rich description. Pro tip: On Facebook, make sure “Similar Page Suggestions” is clicked “ON” in your page settings so people can find you after they interact with content on a similar page. If you want to grow in today’s social media space, it’s no longer enough to just ‘post randomly’ or use Facebook as a one-way advertising space. Content is the king in 2018. To really make the most out of Facebook and make it an invaluable fundraising tool, you need to be posting high-quality, relevant, and compelling content that interests your target audience. And you need to be posting frequently and consistently. Although regular posting is the way to go, never prioritize quantity over quality. – Change up your post types. Sometimes share links to your blog posts, and sometimes share your donation page. Occasionally post photos and videos that bring to life your programs and services. 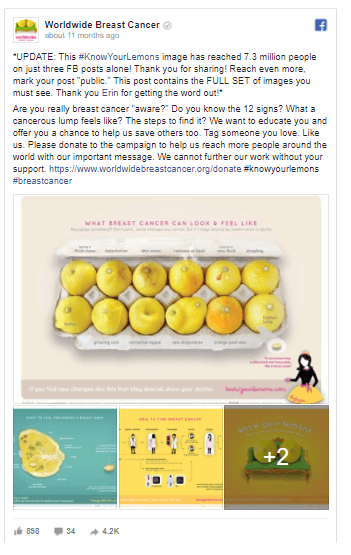 Post your results and share ‘thank-you’ posts appreciating your donors. – Don’t be afraid to ask your audience what they would like to see from your nonprofit. You can gather this information in person, via an email survey, or by asking them on social media. – Ask for engagement. Don’t be afraid to post things like “Like if…” or “Fill in the blank. I volunteer because…”. Simple additions like these can increase your reach and engagement. – Post 1-4 times per day depending on how large your following is. – Curate content with the “Save” feature which allows you to quickly curate and save relevant content that you can use at a later date. – Use the 70/20/10 rule. This is recommended by many experts in the social media engagement field. 70% Value Content: The majority of Facebook content should add value to your community. Post content that is interesting, informative, entertaining or inspiring. This content should ideally be created by you. 20% Shared Content: Sharing other people’s ideas or Facebook posts (curated posts). This could even be user-generated content. 10% Promotional Content: Promoting your programs, events, fundraising campaign, your blog, or anything that’s predominantly promotional in nature. – Optimize for mobile. With the majority of social media usage taking place on mobile devices, you need to ensure that you optimize your online content for mobile viewing. 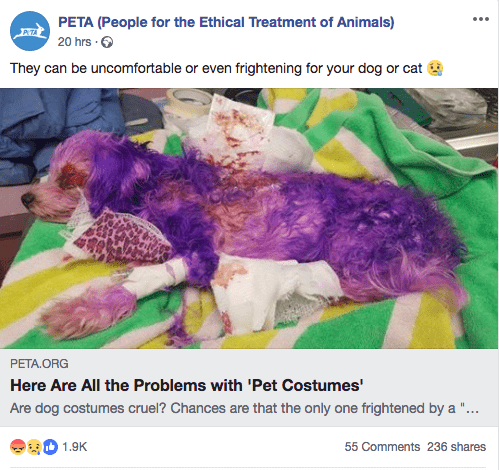 Facebook found that people prefer to click on links that are displayed in the link format which appears when you paste a link while drafting a post (see the image below), rather than links that appear in photo captions. These posts have received twice as many clicks compared to links embedded in the photo caption. It is believed that this is because the link format shows some additional information associated with the link, such as the beginning of the article, which makes it easier for someone to decide if they want to click through. This format also makes it easier for someone to click through on mobile devices, which have a smaller screen. Facebook currently prioritizes showing links in the link-format and shows fewer links shared in captions or status updates. Video has become the way to go when it comes to Facebook (and almost all other online platforms). The combination of visual content, voice/dialogue, and music/sound makes video a uniquely powerful medium to communicate with donors and supporters. Video can capture attention and stir up emotions. When you post a video on Facebook, especially if it evokes a particular emotion, it has the potential to go viral in a way that no other form of content does. House your video content on Facebook natively. Due to Facebook’s timeline algorithm – you have a much higher chance of your video being seen by your community than when linked out. Facebook videos play automatically on users’ timelines but do not play the audio until the user chooses to activate it. This is why it’s important to use compelling visuals that will capture enough interest, even without the sound. This is the same reason why it’s important to caption your videos. Keep your videos short and effective. Videos that are too long get ignored or don’t get finished by the audience. Deliver your Facebook videos in a square format. This is because it is important to format video to be more accommodating for viewers on mobile devices. Explore live videos. They build relatability and trust. Facebook’s algorithm has also been updated to favor live videos since live videos typically hold a user’s interest for a longer period of time. Make sure your video has a descriptive, compelling title so that can easily be found by users. Investing time and other resources in creating and sharing great content is incredibly important, as is measuring and evaluating progress and results. What’s even more important is the social engagement with your supporters on Facebook. 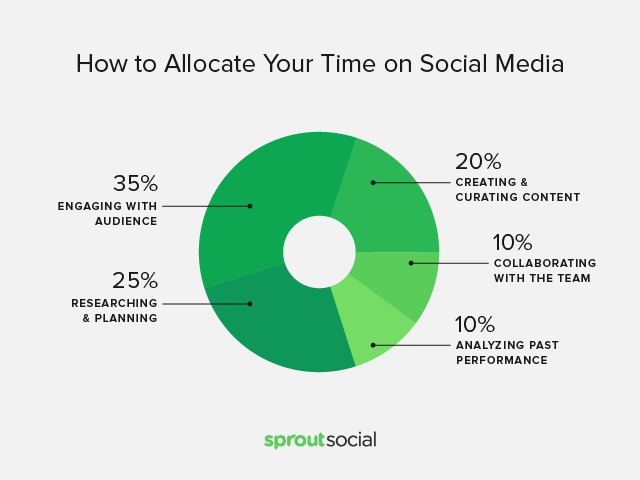 Sprout Social suggests 35% of your time should be spent on engaging with your audience. This will also humanize your nonprofit and is also an excellent opportunity to create your own voice and your own brand identity. It helps you build trust with your audience, create momentum, show that you care and appreciate everyone interested in your work. Due to the nature of their work, nonprofits can’t always show a sense of humor – but it can be good to incorporate humor into your communication every now and then. It’s essential that your nonprofit, during the strategy creation process, decides what success means to your organization and how exactly you’re going to measure it. 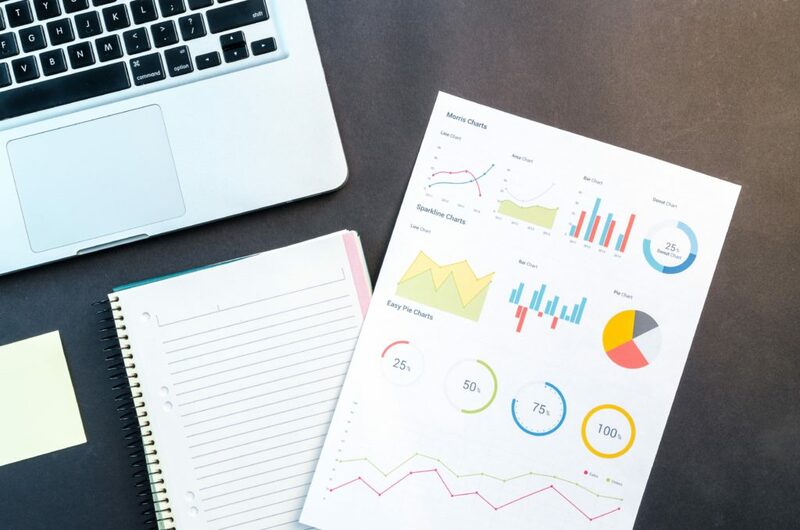 Measuring the Key Performance Indicators will allow you to evaluate the progress towards your goals and decide on an appropriate course of action. If a particular type of post doesn’t do well, for example, you can decide to no longer create posts like it. Only by measuring and evaluating is it possible to truly understand what’s working and what isn’t. Although not free, Facebook ads can be a great way to boost your presence and increase your results on Facebook. You can either ‘boost’ a post or create a Facebook ad. Boosting is a form of Facebook advertising that makes it easy to put a little bit of money behind a Facebook post and help it show up in more news feeds. This is the simplest way to advertise on Facebook. Boosted posts don’t have all of the same customization features as Facebook ads. To create an ad campaign, you’ll usually start from scratch in Facebook Business Manager, and the process is a little bit more complicated. Before clicking a “Boost Post” button or creating a generic Facebook Ad, think about what you hope to accomplish. Running advertising campaigns without a goal or a plan is like throwing money away. What exactly are you hoping to accomplish with the campaign – increase donations, increase blog views, get email newsletter sign ups, etc.? Your CTA (Call to Action) should be crystal clear and directly related to your nonprofit goals. Set a budget and then track the performance of the boosted post or the ad. Pro tip: Only promote your best. Choose content that evoked emotion, created a discussion or received a few shares. Choose your wording and your images very carefully. Use graphics and language that have worked in the past. In 2013, Facebook launched the Donate button. The Donate button allows you to add a donate button to your Page and/or ads to let people donate to your organization. You can drive potential donors to a landing page of their choice, such as your donation page hosted on your website. Alternatively, visitors can complete a donation without leaving Facebook if you activated the “Donate through Facebook” account setting. 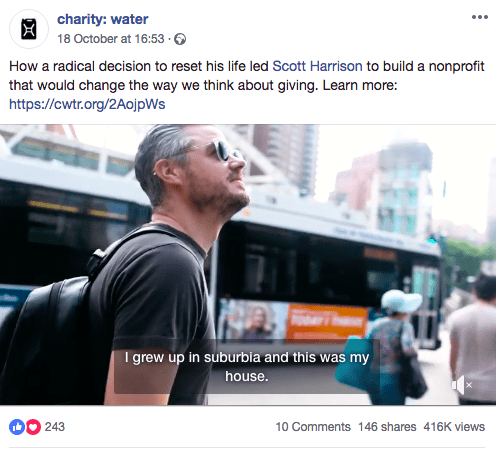 Facebook also recently launched a Fundraisers feature through which individual users can fundraise on behalf of a nonprofit. This means that Facebook users are now able to raise money for things like community and neighborhood projects or improvements, Facebook explains. This tool is based on the concept of peer-to-peer fundraising. Peer-to-peer fundraising is a crowdfunding strategy that makes use of your donors’ existing networks. It encourages supporters to reach out to their peers, friends, coworkers, and family members for donations. With peer-to-peer fundraising, individual fundraisers usually set up a personal fundraising page to accept donations, which your nonprofit then receives. Peer-to-peer fundraising is one of the best donor acquisition strategies since it allows your nonprofit to reach a pool of supporters that would have otherwise been inaccessible. Read more about Facebook’s fundraising tools here. Especially with the changes made to the Facebook algorithm to show users more content from people and groups they care about, and less from Pages, Facebook groups can become a very helpful tool for your nonprofit. Facebook groups are a valuable place to generate discussion and nurture a sense of community amongst volunteers, workers, donors, and members of the community who are invested in your cause. You have three options when creating a Facebook group: open, closed, and secret. Which one you’ll choose will depend very much on your nonprofit. Keeping a group closed might be the best option for the majority of nonprofits because they can be found by anyone, but requires admin approval to enter and won’t let non-members see any of the content. Even though it can be time-consuming to manage a Facebook group, it is definitely an excellent platform for discussion and community building. Promote your recurring giving program in the group. However, be mindful of the balance between ‘promoting’ posts and valuable content. If you’re too ‘spammy’ with the promotions, your group members might decide to leave the group. Learn from other nonprofits. Join other nonprofit-related Facebook groups and ask for tips from them. Also take time to build partnerships and relationships by having conversations, resharing, co-promoting, and more. Engage with users. This is how you build trust, loyalty, and engagement. And this is what will eventually drive the group members to donate and contribute to your nonprofit. Share stories of impact. Show clearly where the donations are going. Ask questions and answer questions. 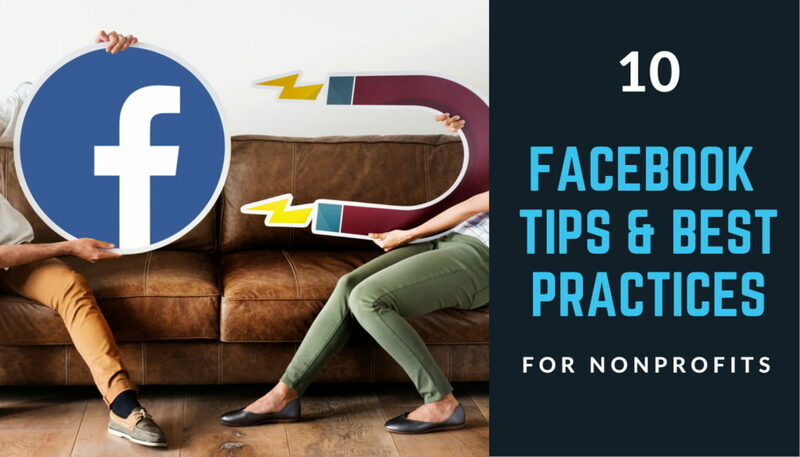 These are some of the most essential Facebook tips and best practices for your nonprofit. Don’t forget to keep up with your posting, as well as with tracking post times to discover which days and times reach most of your audience. Don’t forget to get creative with your Facebook strategy. Take the time to look at and understand your Facebook analytics and put the work in to make your content valuable and professional. Always prioritize your supporters and your donors. As a nonprofit professional, your goal is to help your nonprofit get closer to its mission. And social media networks, particularly Facebook, can be great tools to do that. Facebook has a massive potential to propel you forward – if done right. Savvy nonprofit professionals also understand that today, their supporters and followers are immersed in social media – and that’s where you have to meet them. Facebook campaigns can really work alongside your fundraising software as part of a holistic strategy that helps you achieve your goals.